We are proud to announce and welcome you to the launch of our John X Safaris Hall of Fame. With over 30 years of hunting throughout Southern Africa, John X Safaris have been fortunate to harvest some of the best trophies in the industry. Years and years of Quality Trophies. It would be impossible to find every one of those SCI Gold or Silver Medal Trophies, let alone find enough quality pictures of the many Top 10 trophies we’ve harvested in the past. We therefore apologies in advance to any hunters who have hunted with John X Safaris and have Top 10 or even past /current World Record Trophies hanging on their Trophy Room walls, whose photos are not posted in our John X Safaris Hall of Fame. Instead we have selected a few of the very best trophies from the past 4 seasons and tried to work through the many hundreds of pictures, grouping them into their specific groups. To start we have selected some of the species that we feel makes John X Safaris stand out head and shoulders above our competitors. Later in the season we will add to our Hall of Fame and build it into something that hunters can use as a yard stick to judge our Safaris on. East Cape Kudu Hall of Fame - The bulls are impressive! 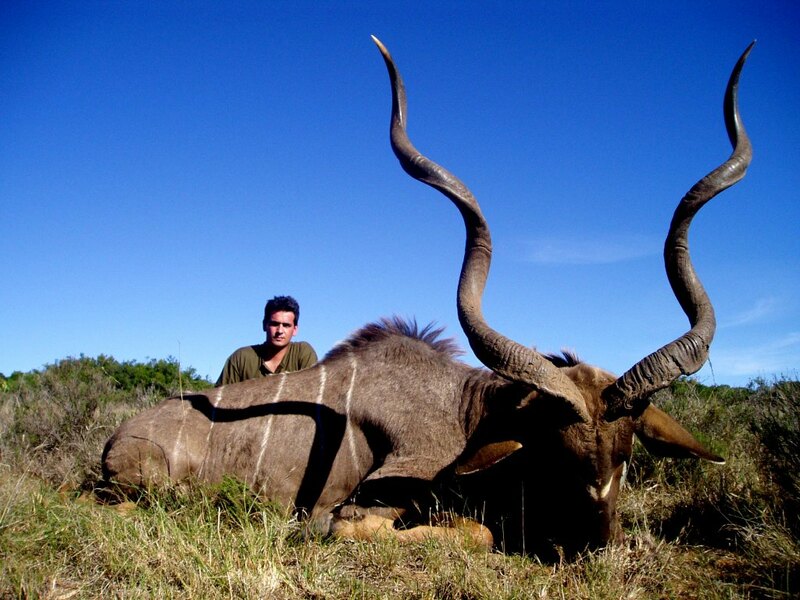 Take a minute to visit our John X Safaris web site www.johnxsafaris.co.za and click on the “Trophy Rooms” link. Once opened, scroll through the various categories at leisure and enjoy the very high standard of trophies so many John X Safaris hunters have become accustomed to. We hope to add many more trophies to our John X Safaris Hall of Fame and invite you to join us on a hunt and stand a change of being part of this exclusive club. We end this weeks Blog on a sad note, Professional Hunter and friend Richard Ngubane passed away this past Saturday, 13 March 2010. Richie spent most of his seasons guiding in Mozambique. For those of us who had the privilege of hunting or sharing a camp with him in the short period that we got to know him, will all agree that he was more than your average Professional Hunter. Always ready with a joke, a laugh or a good story about a swamp Buffalo – and who could forget his story about the Lioness and the Leopard?! Always professional and extremely passionate about hunting. 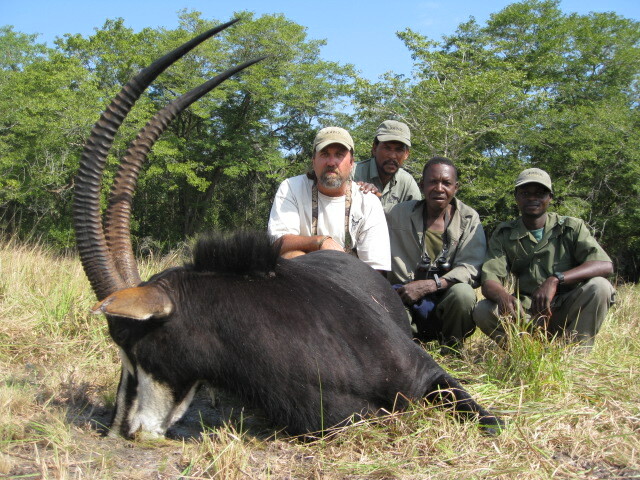 Professional Hunter Richie Ngubane (second from the left). Richie will be sorely missed. A friend, a gentleman – a fine man.